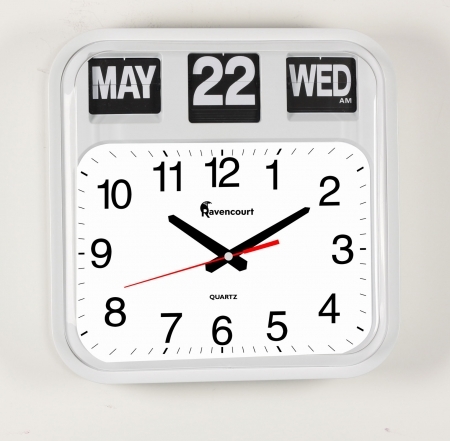 The large calendar wall flip clock with a high precision quartz battery movement is extremely popular with Public Sector organisations such as NHS as well as Care Homes, those in Assisted Living or at home, living with dementia. It’s perfect for those needing a combined calendar and clock to keep track of the time and the date. Large black numerals and clear letters make it ideal for people with low vision or suffering from memory problems.